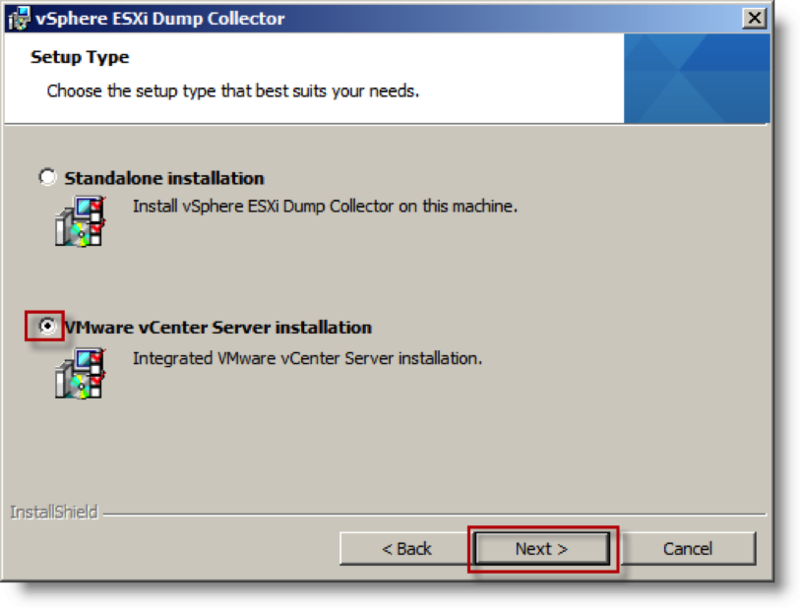 Are you looking for basic understanding of some of VMware products outside of just the core of vCenter and ESXi? 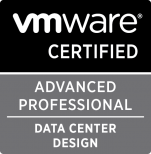 If so, check out the free elearning courses offered by VMware Education. There are courses on Site Recovery Manager, vFabric, vCenter Operations Manager, vShield, vCloud Director, VMware View and What’s New in vSPhere 5.1. In addition there are courses on virtualizing Microsoft Tier 1 applications like Exchange 2010, SQL server and SharePoint. The courses are the same content that VMware partners have used to attain accreditation for delivering VMware solutions for disaster recovery and virtualizing business critical application. While these courses won’t replace VMware Education’s live online or instructor lead classes, they will help you to get a basic understanding of concepts, capabilities and design choices when working with the various products. The english language version is available here. Earlier this month, VMware launched a new site, VMwarelearning.com with 50+ technical videos. These videos offer tips, design guidelines, best practices and product feature knowledge from VMware technical experts. This is a terrific way to get valuable information and technical expertise for FREE! 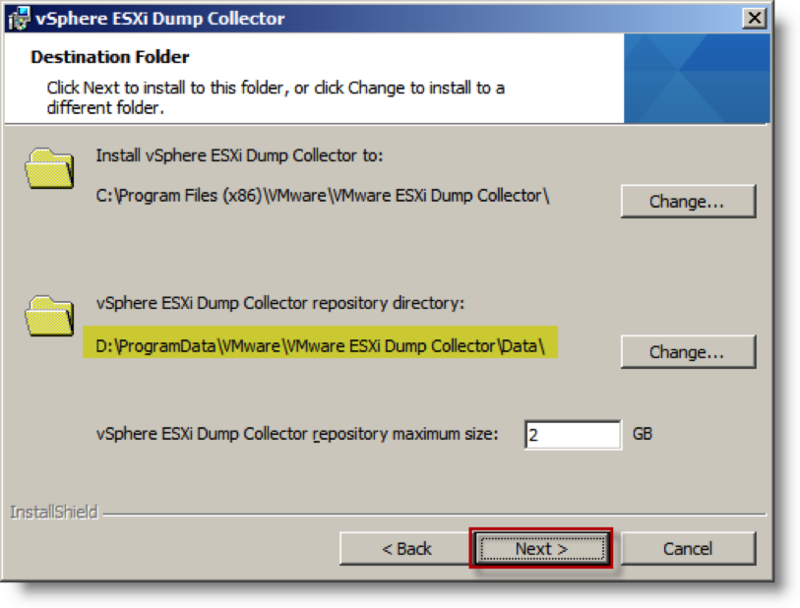 VMware has released an update for ESXi 5.1 (ESXI510-201210001) that addresses two issues related to PowerPath/VE 5.7 and an issue with the View Storage Accelerator and View 5.1. The issues that are resolved with the update have been highlighted on VMware’s website since they were identified. 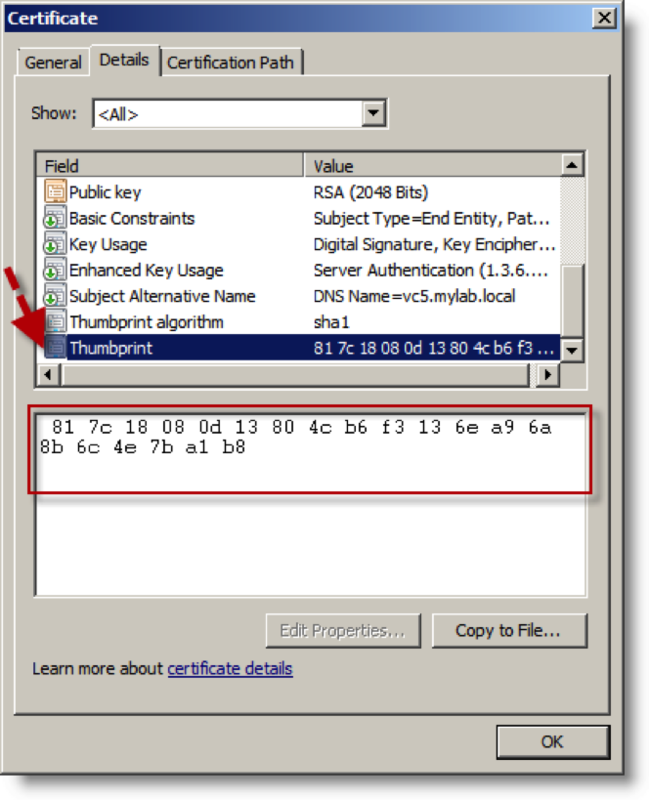 Knowledge Base article KB:2034548 has the details for the update. 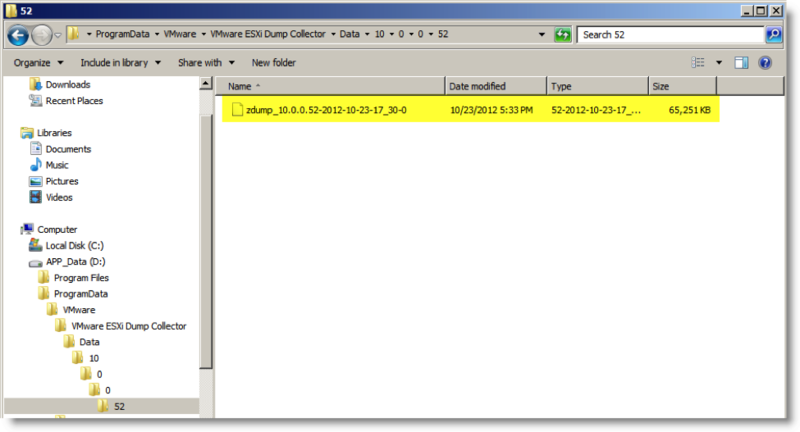 In addition to the online or offline patches, VMware has also provided an updated ESXi 5.1.0 ISO image available here. 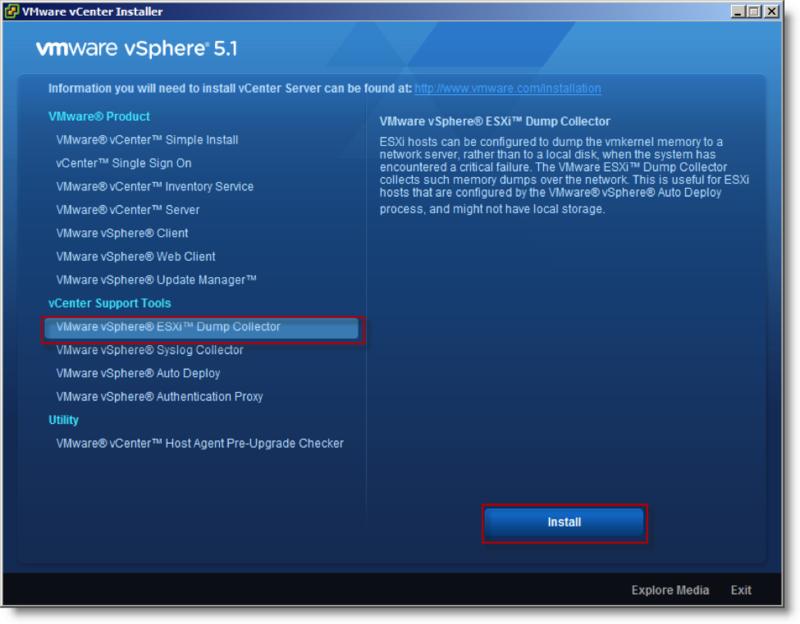 I finally spent a little time and have updated the vSphere page to vSphere 5.1. I intend to build on the Knowledgebase article section as items come up with customers or from the classroom. 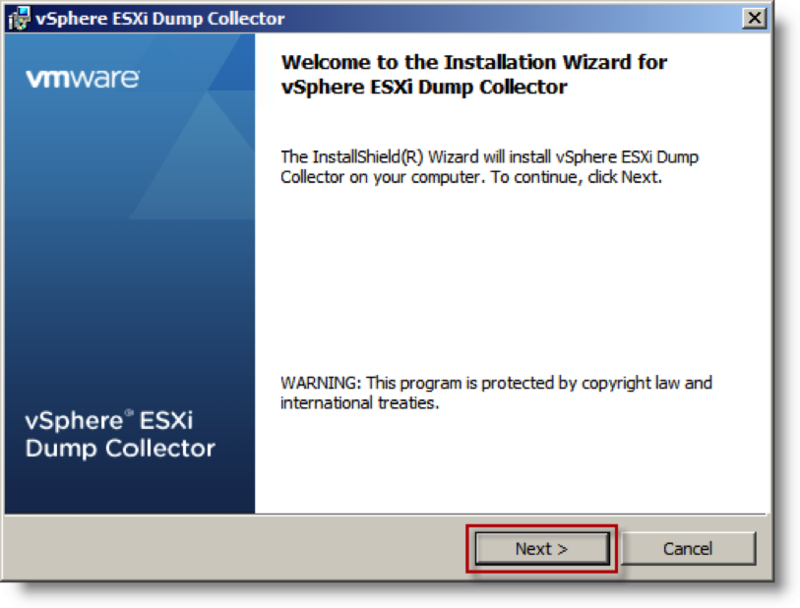 Recently I was onsite with a customer helping them deploy a new vSphere 5.1 environment to host a new Exchange 2010 system. 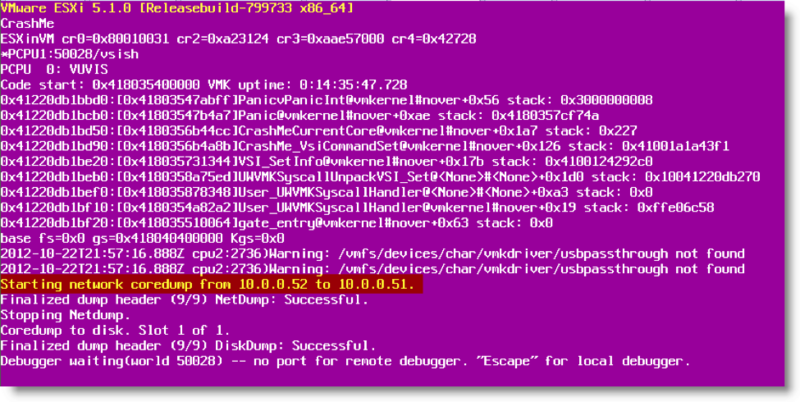 As part of the deployment, we setup Alan Renouf’s vCheck 6 script and started working through the process of setting it up to run as a scheduled task. 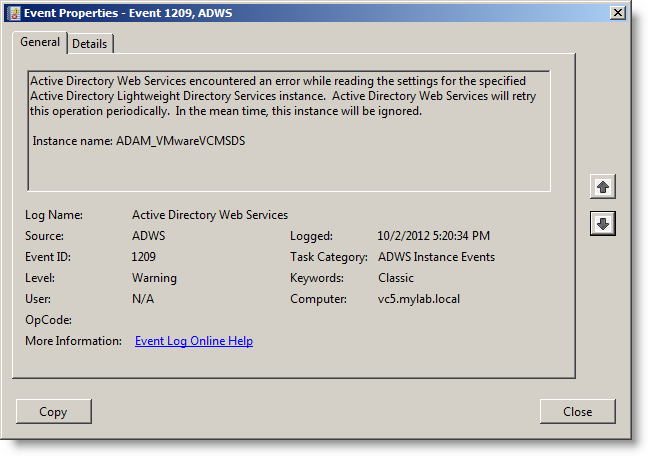 As we were manually running the task we noticed that the output showed errors every minute for the AD Web Services and AD Lightweight Directory Services (ADAM). We found the log entries in the AD Web Services log. 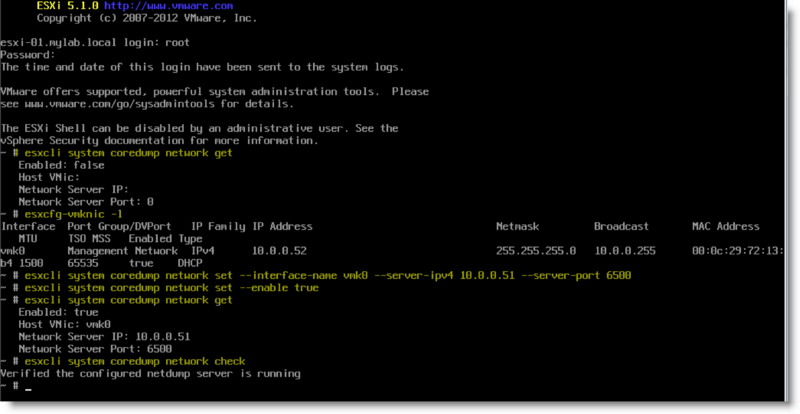 A little digging uncovered that the event 1209 error is reported when there is a problem with the port numbers in the registry for AD Web Services LDAP access (389/636). 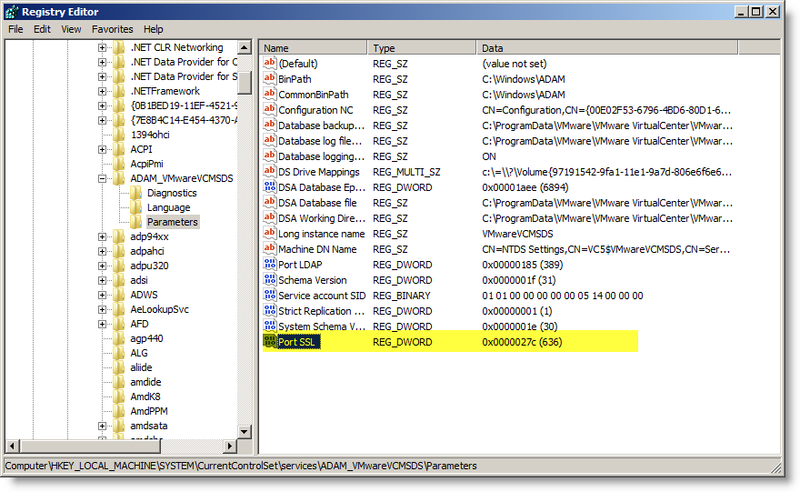 On inspection of the registry key, the “Port SSL” type is incorrect and the data is missing. 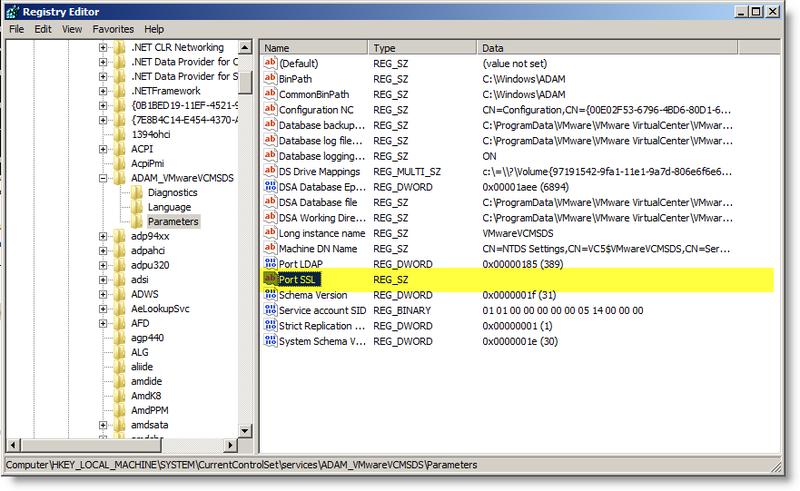 According to the Technet blog post, the value type should be “REG_DWORD” and the default data is 636. I deleted the existing incorrect value and created a new value with the REG_DWORD type and the value data of 636 decimal. 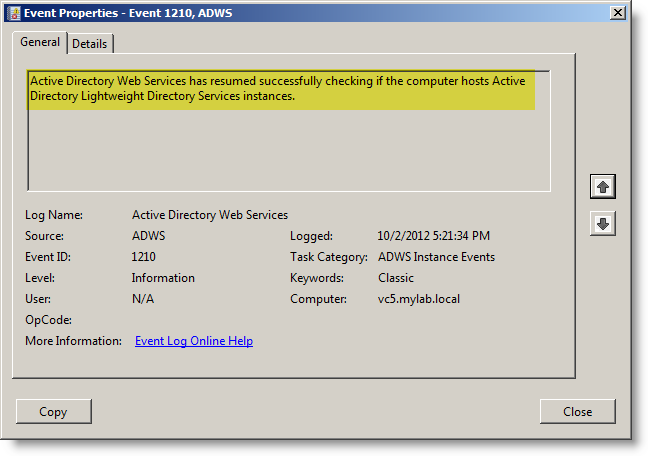 Upon checking the Windows event logs, I could see that the AD Web Services was already using the corrected value, so no service restart was required. 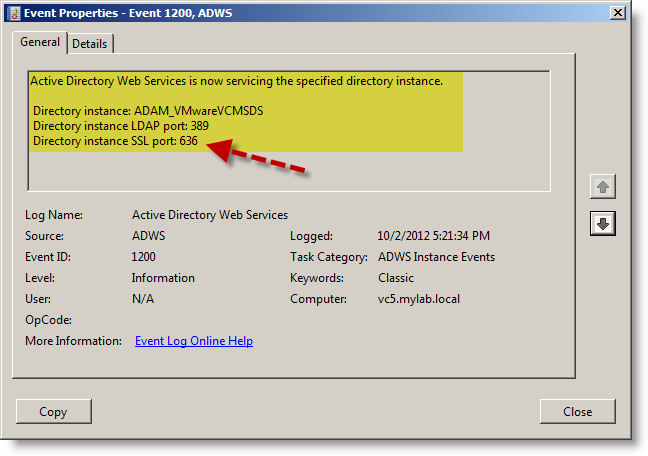 The next log entry displayed the VCMSDS instance and LDAP/LDAPS (SSL) ports it is configured to use. 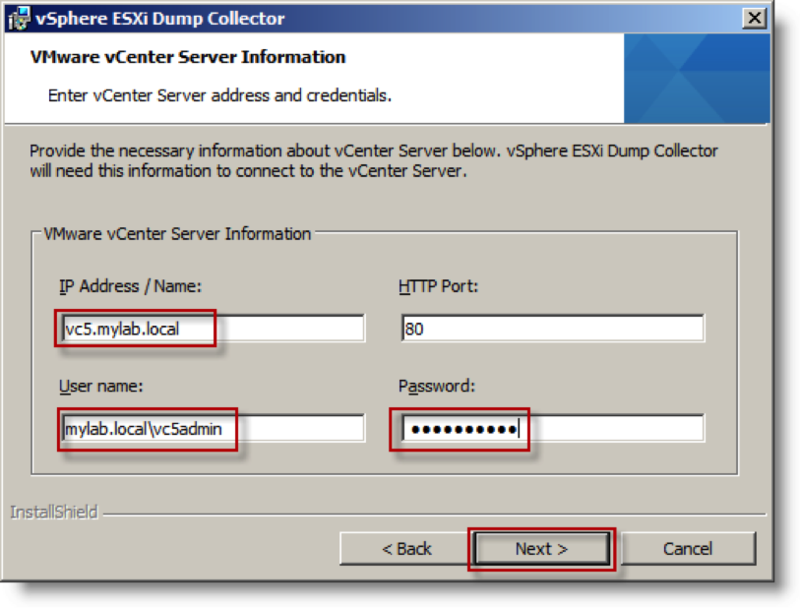 After this vCenter system was fixed, we checked all of the other vCenter servers onsite and found that their vCenter 4.1 server they were using for non-production also had the same error. That vCenter server was running on a Windows 2003 server and we did have to stop and restart the AD Web Services service to load the corrected SSL port value and resolve the error. 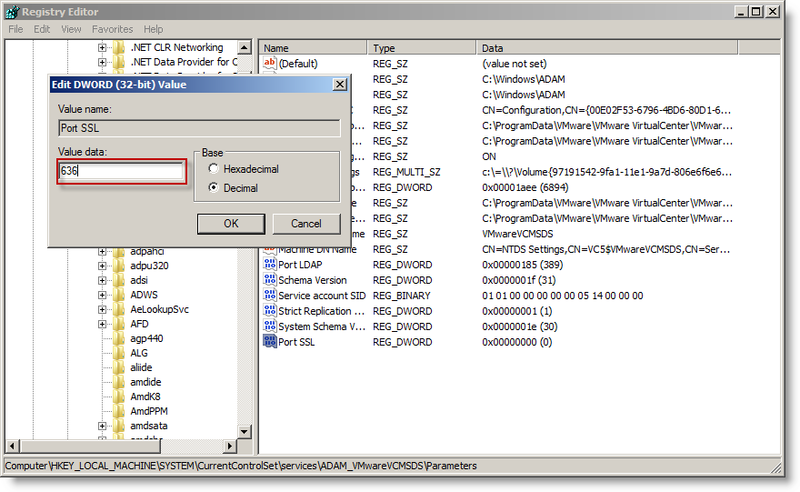 Thanks to Alan Renouf and the vCheck contributors at Virtu-Al.net for grabbing and displaying this error.